The undersigned members of the Safe Food Coalition write to express our concern regarding the U.S. Department of Agriculture (USDA) Food Safety Inspection Service’s (FSIS) response to reports of an investigation uncovering widespread fraud and adulteration of products by Brazilian meatpacking processors. FSIS’s response is inadequate in light of the alarming practices that have come to light, including company officials dictating the placement of health inspectors, health certificates being falsified, the use of cancer-causing chemicals to disguise rotting meat, and the shipment of contaminated meat to Europe. Major U.S. trading partners—including Canada, Mexico, the European Union, Japan, South Africa, Saudi Arabia, Hong Kong, and Uruguay—implemented partial or total bans on meat products from Brazil soon after the investigation came to light. FSIS did not take similar action. Instead, the agency announced that it would immediately begin reinspecting “100% of the lots” of beef trimmings and ready-to-eat products from Brazil, and testing them for pathogens. 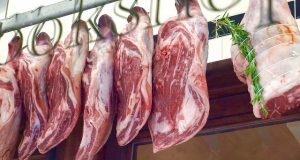 This decision to continue allowing Brazilian meat imports may leave American consumers vulnerable to unacceptable food safety risks, and points to the need for fundamental reforms to how the agency determines the “equivalency” of foreign meat inspection regimes. FSIS has clear authority under the Federal Meat Inspection Act, 21 U.S.C. § 620, and its implementing regulations, 9 C.F.R. Part 327, to implement a ban similar to that of our major trading partners. Under 9 C.F.R. § 327.2(a)(3), the FSIS “Administrator may terminate the eligibility of any foreign establishment for the importation of its products into the United States if it does not comply with [equivalent U.S. meat inspection] requirements.” Courts have recognized that FSIS should exercise this authority broadly, and “err on the side of preventing importation in enforcing the standards of the Act.” Ganadera Indus., S.A. v. Block, 727 F.2d 1156, 1159 (D.C. Cir. 1984) (“By endowing the Secretary with this authority, Congress sought both to protect American consumers and to ensure equitable treatment for domestic producers.”). The facts that recently have come to light leave little doubt that the FSIS Administrator has information that Brazilian meatpacking establishments are not operating under “equivalent” standards. Moreover, it is clear that the serious problems in Brazil are systemic, and do not apply solely to those establishments directly implicated in reports from any ongoing investigation. The agency is thus well within its discretion to implement a ban on Brazilian meat imports. FSIS delisted one establishment, JJZ Alimentos S.A., which was a target of the Brazilian investigation, shortly after news of the investigation broke. The agency has not made clear, however, whether that delisting is related to the scandal. Moreover, all other listed establishments remain free to export to the U.S., subject to heightened, alternative border inspection measures. The agency’s alternative measures—namely, reinspecting all lots of Brazilian meat and poultry imports—will expose American consumers to unnecessary risks, and American taxpayers to unnecessary costs. Reinspecting each “lot” of Brazilian products, and testing them for pathogens like Salmonella, shiga-toxin producing E. coli strains (STECs), and Listeria monocytogenes, is expensive and impractical, and may not detect all forms of adulteration. More importantly, reinspections and microbial testing are a poor surrogate for a genuinely “equivalent” inspection system. They cannot take the place of proper “ante-mortem inspection of animals” that safeguards against excessive chemical residues and ensures enforcement of operational protocols to prevent the spread of illnesses like mad cow disease and animal foot and mouth disease. In other words, reinspections and microbial testing may be useful as tools to monitor whether an equivalency determination remains valid, but they are an inadequate and inappropriate response by FSIS in the face of evidence that that a country’s food safety system is out of control. FSIS cannot maintain trust in imported meat and poultry if its process for ensuring the equivalence of a foreign country’s inspection system ends after an initial determination is made, or remains in place until American consumers begin getting sick. Brazil has been a habitual violator of the terms of its equivalency determination. We urge you to reconsider your decision to continue allowing Brazilian meat imports and to take this opportunity to enact internal reforms that will better protect consumers from adulterated meat and poultry imports, consistent with the policies of our major trading partners.